Since I was an infant, languages and cultures have been a proper thrill for me; I could not live quietly knowing that outside my house door there was a whole world to explore! As soon as I could, I started getting tooled up to travel, in order to quench my thirst of discovery! Nowadays, my aim is to thick out at least 3 new places per year from my to-visit list. The country I still enjoy the most is also my birthplace (Italy! ), although I currently live in London. Positano was already a famous holiday destination in ancient Roman times; nowadays Positano is still the ideal location to take a break from the daily routine! 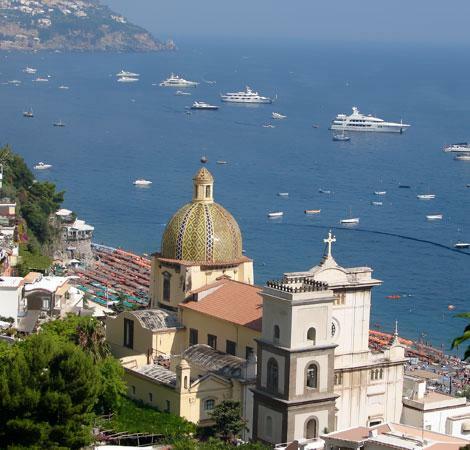 Positano, despite its small dimensions, offers fantastic views, outstanding boat excursions, excellent restaurants, high end fashion boutiques, and much more! Positano produces great Limoncello (lemon flavored liqueur.) It's the ideal souvenir to take back to friends and relatives! 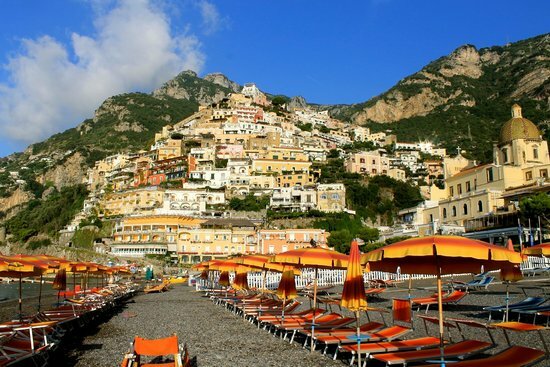 Positano is the wealthiest of the cities on the Amalfi Coast. 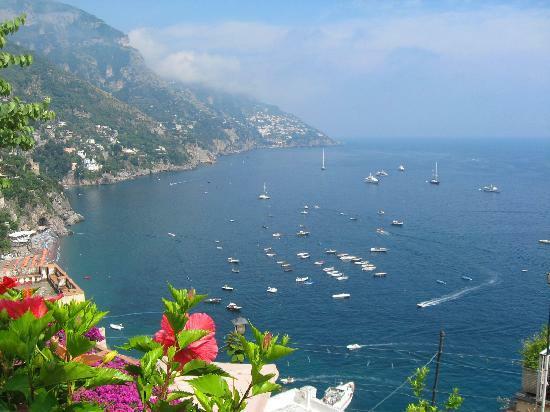 The town of Positano extends along the coastal cliffs and ends at the sea. 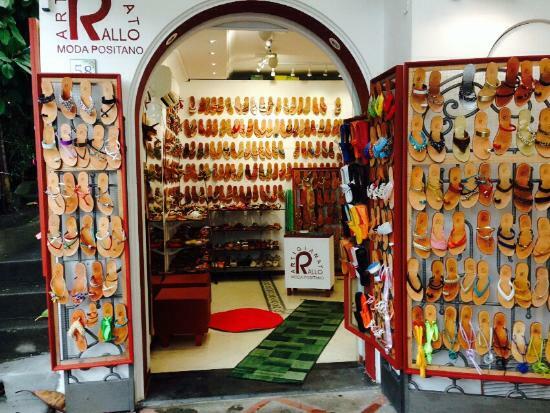 Without a doubt, a visit to Positano means lots of walking up and down a maze of alleys and streets - why don't you start the day by treating yourself to a pair of custom-made shoes to tackle the Positano challenge? Artigianato Rallo, an award-winning artisan shop, offers a wide selection of models and colors; plus your order will be ready in less than an hour! You can stroll around while waiting for your order, but don't go too far: the manufacturing could take less time than expected. The customer service is excellent. Don't hesitate to speak up about your needs! 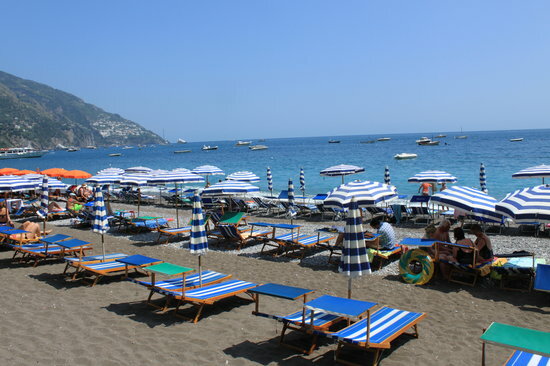 Spiaggia Grande is the main beach of Positano. 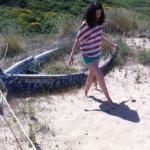 It's a broad sandy stretch at the base of the town that overlooks the sparkling blue sea. 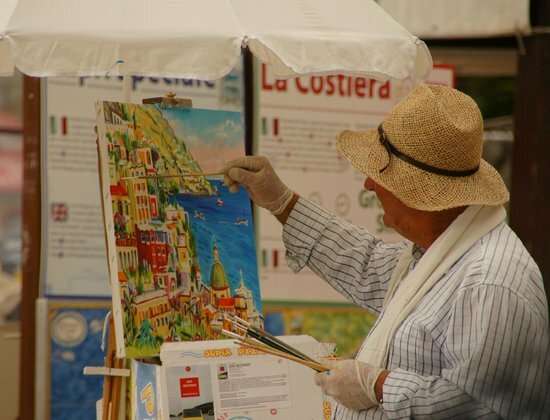 The view is just spectacular and, besides getting suntanned, there's a large array of things you can do here; from coffee in one of the surrounding eateries to commissioning a personalized painting of Positano. 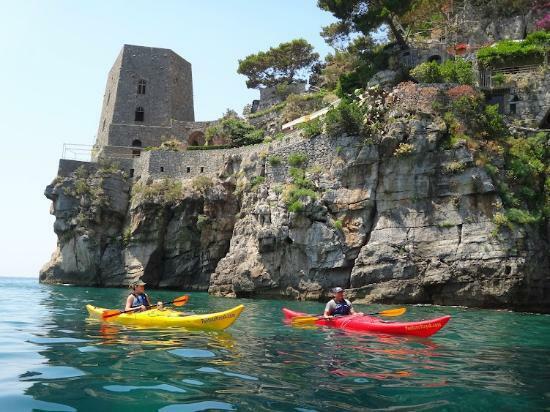 Treat yourself to a boat excursion to Punta Campanella, the tip of the Sorrentine Peninsula. 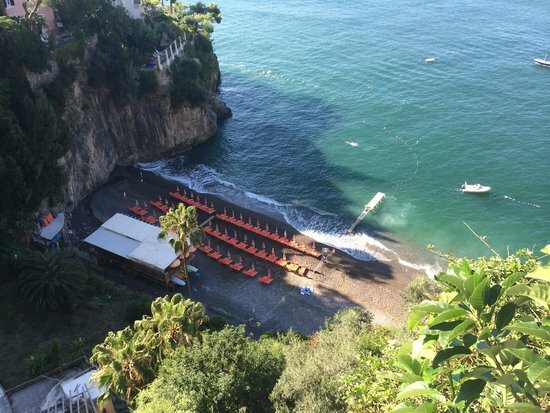 This secluded beach is an alternative to the crowded Spiaggia Grande — it's a little hidden, but still within easy reach. On the right side of Spiaggia Grande, there's a promising-sounding trail called 'Sentiero degli innamorati' (Lovers path.) At the end of it, you' ll get be rewarded by the evocative scenery of Fornillo Beach: a shiny, sparkling oasis, for those who are looking for peace and tranquility. Although less crowded than Spiaggia Grande, it has turned quite popular recently. I recommend an early arrival to get your spot. 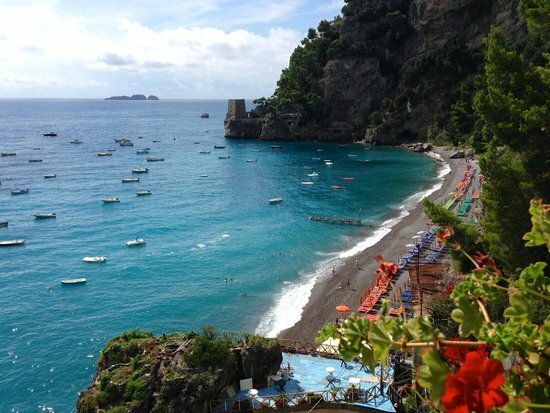 Restaurants and resorts here have reasonable prices, especially by Positano's standards. Also, WiFi is free. The history of this church is bound to the ancient legend (or miracle?) 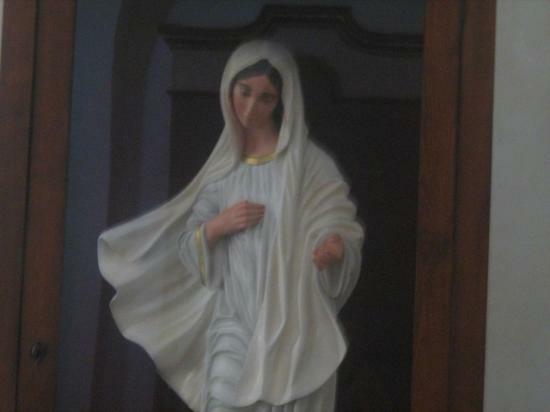 of a painting of the Virgin Mary, which was mysteriously found by the sea after it had disappeared from another church. 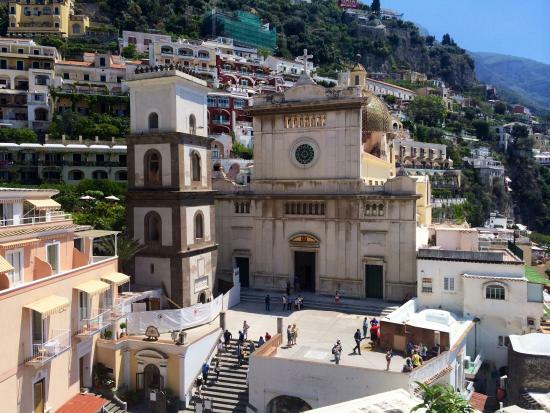 A new church was built where the artwork was retrieved to honor the event, and the church has been the symbol of Positano ever since. The church is very famous and photographed worldwide for its colorfully tiled dome. 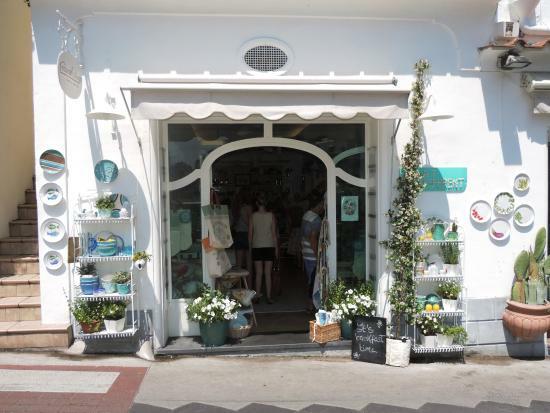 A must see if you pass by Positano! You can also access a medieval crypt from the nearby streets. If you are there on the 15th of August, don't miss out the celebration in honor of the Virgin Mary. After the procession, a concert and fireworks will follow! Looking for a good lunch spot? Casa e Bottega is an extraordinary eatery that will satisfy the most difficult of tastes. 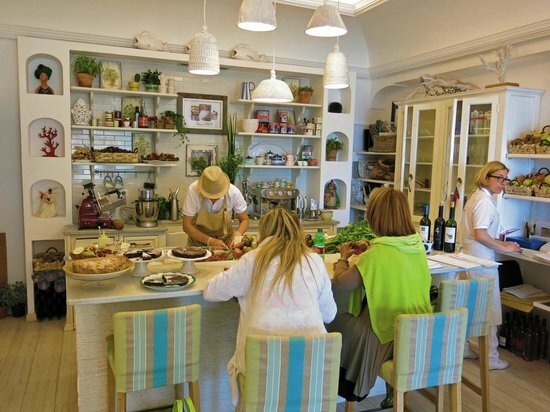 This daintily decorated restaurant is also a paradise for vegans and vegetarians, and the owners are two committed ladies who only use the best organic ingredients in their dishes. If you ask for a salad, they will prepare it in front of you! Like the decor? They have a point of sale display! 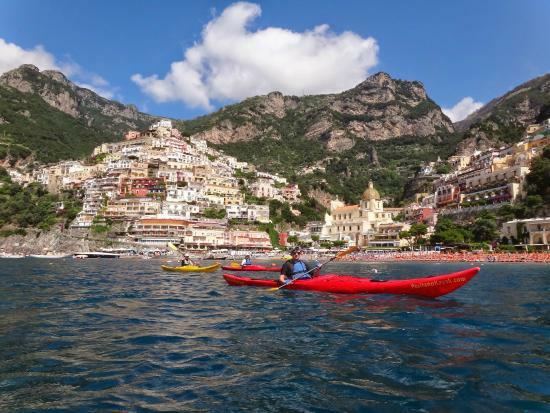 For the avid sports person, you cannot miss the opportunity to kayak along the coast. 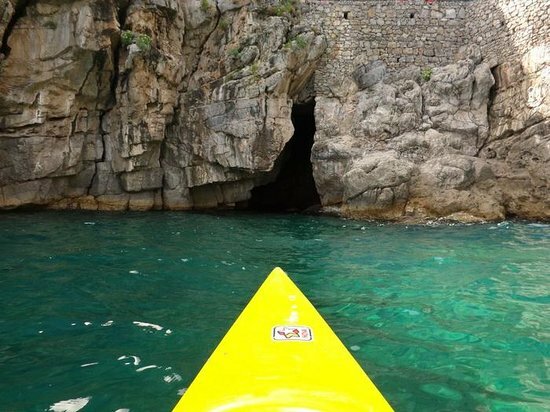 The Amalfi Coast conceals many gems behind its steep walls, so do not hesitate to ask your instructor to reveal them to you! With their instruction, you will learn how to paddle, and they will provide you with some special tips to enjoy your kayaking experience to the fullest! The team here is extremely friendly; you will not regret taking a tour with them. Snorkeling is also included in some tours. Their services are also suitable for kids. 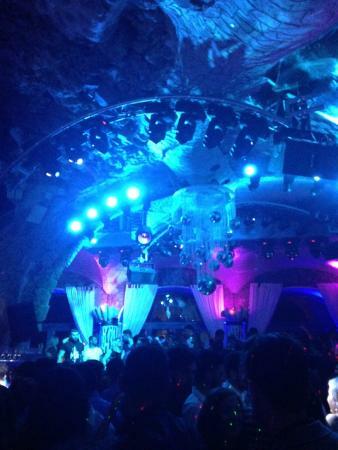 During high season, you might also choose to do a night excursion. 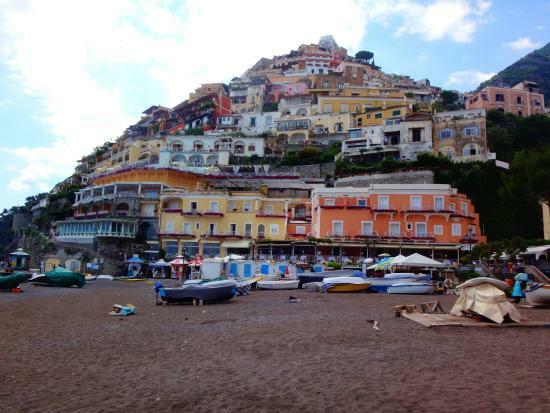 Positano has other beaches and lookouts, beside the main two, Spiaggia Grande and Spiaggia del Fornillo. 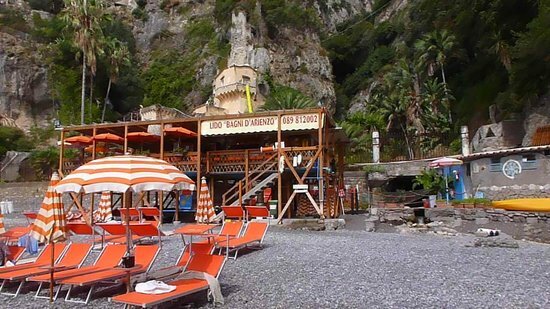 Bagni d'Arienzo (also called '300 steps',) is one of them, and makes for a nice retreat from the busy streets of Positano. It's accessible via sea or through a long staircase from the main road. It is not an easy reach, but the amazing coastal scenery pays off. There is a beach resort with shower and toilet facilities. The beach's restaurant has a great view overlooking the sea. If you are coming from the road, be sure to wear comfortable shoes! It's a long way up and down! This is one of the locations in which the sand stays bathed in sun until the evening comes. Enjoy! 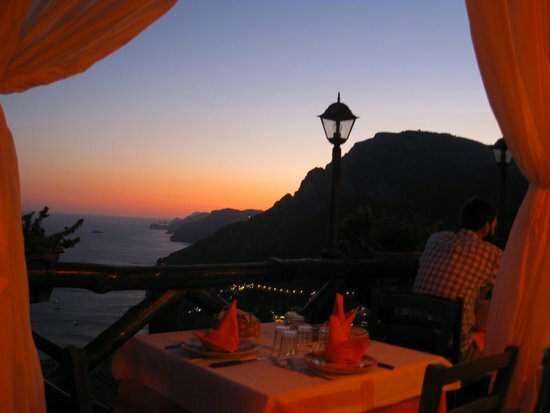 For dinner in Positano you have many great choices, but La Tagliata is certainly worth a special mention. 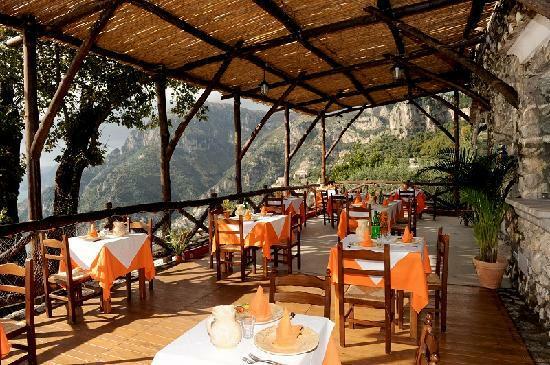 It is a family-run restaurant, set on top of the hill in Montepertuso, by Positano. 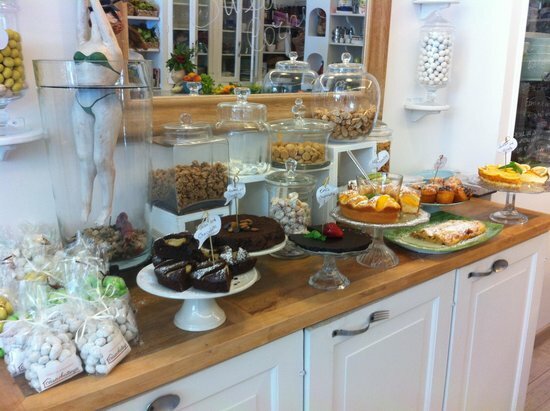 Their tasty dishes are always of extremely high quality, as they only use organic produce. The restaurant is equipped with three splendid terraces, each one overlooking a different side of the coast. A combination of great factors that will have you enjoying dining out like never before! A pick-up service from you hotel is provided. I would suggest booking in advance; it can get very busy, especially in summer. 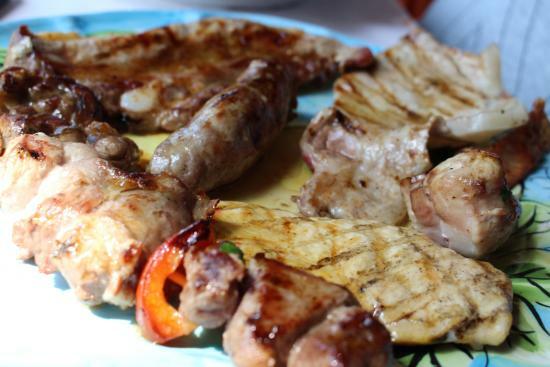 Meat dishes are their specialty. Do try one! Are you planning to head out on the town for the night? 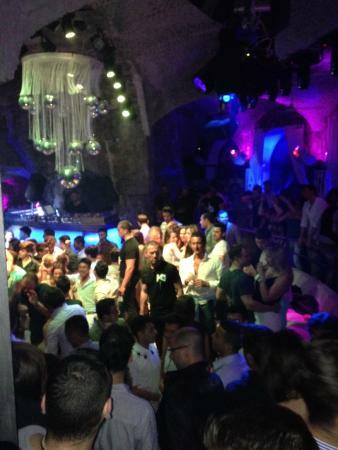 L'Alternativa Positano is definitely an option for getting the party started. It's is a colorful kiosk, located on the pier of Positano, that provides not only snacks (such as sandwiches or ice cream) but also excellent cocktails at very affordable prices! Good music at night, with at great view. Highly recommended is their most popular cocktail, "Albertissimo," and also the Lemon Sherbet. Delicious! Up for a chat? L'alternativa is the best place to meet new friends! If you want to go wild, make your way to Music on the Rocks club. 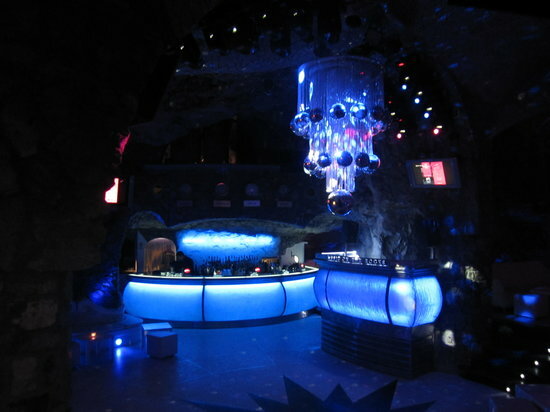 This trendy, two-story club is built inside a cave in front of the sea. A large variety of music is played, from disco to live jazz, satisfying everyone's tastes. 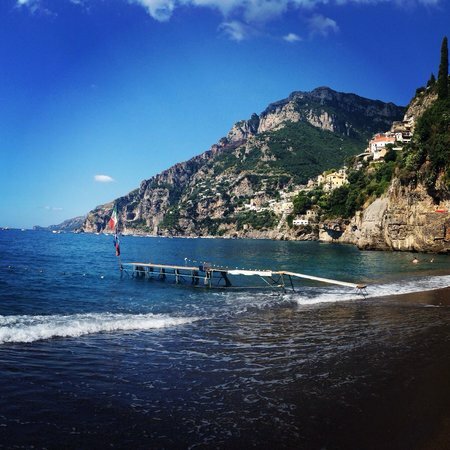 Definitely a great way to end your stop-over in Positano! Cocktails are excellent, although a bit pricey. Check out their website for events: they usually have cutting edge DJs on deck!